Fertilizer is vital for crops to produce sufficient yields. Without adequate fertilizer, we wouldn’t be able to produce the amount of viable produce necessary to satisfy the market. That’s why it’s so important that we ensure our crops are getting the right amount of fertilizer at the right times. The 4Rs of nutrient stewardship are a good guide to follow – the right fertilizer source at the right rate, at the right time and in the right place. Nitrogen is one of the most important nutrients to feed crops and trees. Plants need a lot of this nutrient in order to thrive. A high concentration of nitrogen can be found in the new growth of plants, such as the shoot tips, buds, and new leaves. When nitrogen is deficient, signs show up in the plant. When citrus trees are deficient in nitrogen, you may notice it in the leaves. Yellowing leaves on an otherwise healthy tree can show that available nitrogen has reduced sharply. A continuous deficiency can result in stunted growth. The undersized tree may produce little fruit and bloom sparsely. There will also be a noticeable decrease in twig and leaf growth. It’s important to distinguish nitrogen deficiency from other nutrient deficiencies, such as magnesium deficiency. In Florida, nitrogen deficiency is most common after the tree has flowered. Older leaves will be affected first, then younger leaves. The leaves will bleach in color, and new leaves will be thin, fragile, and light green in color. Nitrogen-deficient trees will eventually suffer from a thin canopy and reduced yields. Nitrogen deficiency can be caused by heavy rainfall or over-irrigation on highly porous soil. Waterlogging can also cause denitrification that can lead to a temporary deficiency. Foliar sprays of nitrogen fertilizer can help offset these deficiencies. If you need assistance with this, we here at Helena are glad to be of any help possible. Give us a call today at (813) 333-3182 and let one of our amazing team members assist you. This column is sponsored by Helena Agri-Enterprises, LLC, and the opinions expressed herein may not reflect those of CFAN or of its advertisers. 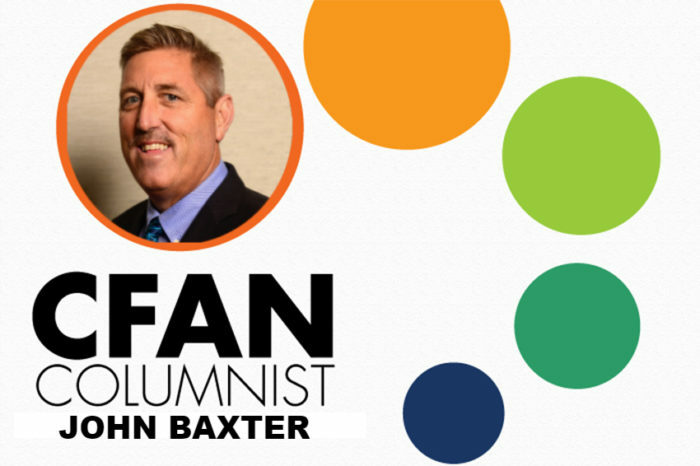 John Baxter is the Florida Division Manager of Helena Agri-Enterprises, LLC. He has proudly served Florida growers at Helena for 25 years, and he also currently serves on the Board of Directors for the Florida Fertilizer & Agrichemical Association. For more information about Helena products or services, or to contact a member of the Florida team, call (813) 626-5121.